The remarkable and endearing Mr. and Mrs. Peter led the Fortis marketing team to Basel, Switzerland to meet distributors and retailers from all over the world. Meetings were at the Dorint Hotel, not far from the Baselworld building complex. Fortis Swiss Watches treated staff and distributors alike to a celebratory dinner replete with inspirational words that looked forward to the upcoming Fortis 100th anniversary in 2012 and a call to action from Miriam Tress, Fortis Brand Manager at Gevril Group. Some of the special moments from the meetings and the dinner have been captured by Fortis in the collage of images pictured below. 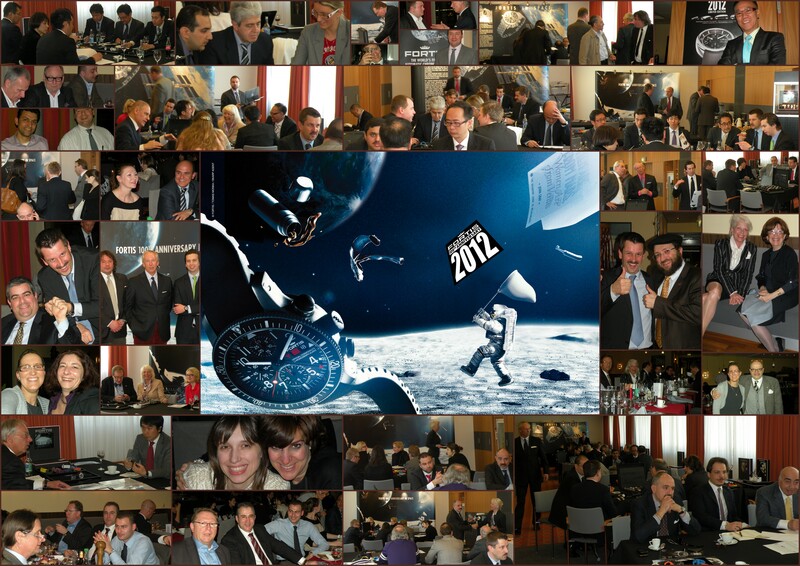 Click here to access the high-resolution Fortis Watches 2011 Basel collage.